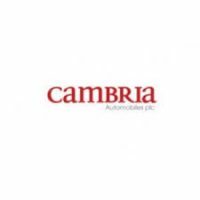 Cambria Automobiles (LON:CAMB) is the topic of conversation when Mike Allen, Head of Research at Zeus Capital talks about the release of preliminary results for the year to 31 August 2018. Mike shares his thoughts on the results, explains the key drivers, forecast changes and shares his view on the current valuation. Cambria Automobiles plc was established in 2006 and has built a balanced portfolio of high luxury, premium and volume car dealerships, comprising over 40 franchises representing major brands across the UK. The Group’s businesses are autonomous and trade under local brand names, including County Motor Works, Dees, Doves, Grange, Invicta, Motorparks and Pure Triumph. The Group’s strategy is to complement its existing franchise and brand portfolio by acquiring earnings enhancing operations, using its strong balance sheet and disciplined approach to capital allocation. Cambria’s medium term ambition is to create a £1 billion turnover business producing attractive returns on capital. Click CAMB ZEUS for the full archive.